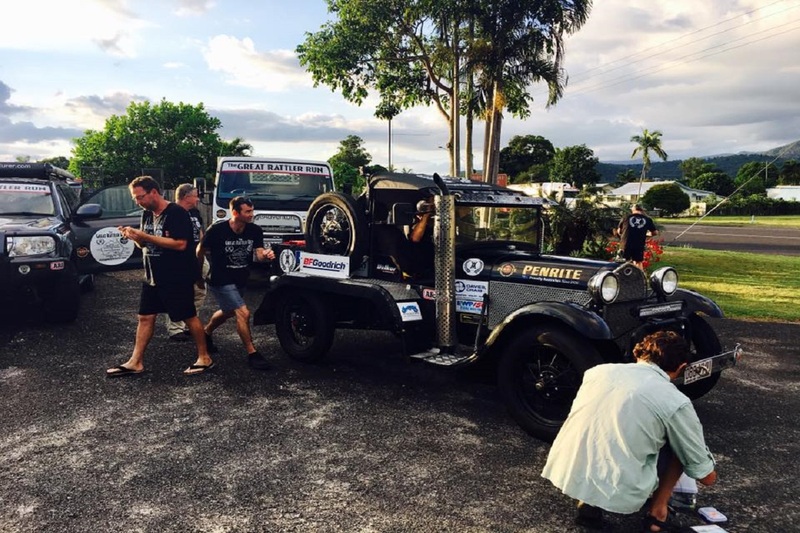 Vintage Adventurer | Day 11 – Up to Cairns! Day 11 – Up to Cairns! After the best nights sleep I’ve had on this whole trip, I woke up and hit the road headed for Cairns. It wasn’t a long trip, but once again it was a feast for the eyes. The Tropical Far North is covered in luscious green foliage, palm trees and sugar cane! Oh, and there’s a bit more sugar cane too! When we arrived in Cairns we headed out to the Sky Rail, the cable cars that take you up to the hinterland town of Kuranda. I decided not to drive The Rattler up the mountain as I didn’t want to risk straining the engine. Nothing is going to stop me from making it to The Old Telegraph Track, especially after coming this far! When we arrived back in Cairns, we pulled in to the supermarket to buy the last of our supplies for the journey north. We plan on staying at roadhouses right through to our last stop at Bramwell Station before we take on the Track. Then we will camp somewhere along the Track before arriving in Loyalty Beach where our beach shack awaits! As soon as the shopping was out of the way, we headed back to our digs and got to work on The Rattler. On day twelve she needs that mini skirt I was talking about. So we jacked her up and Don ground down the screw ends protruding into the wheel cavity where the mud fats now sit. Don’t want any more punctures back there, especially with these higher profile tires. So we are finally ready to start heading up the Cape. Let the fun begin! PS First water crossing on the Bloomfield Track just north of Cape Tribulation. Pardon the excitement!